There is gold in those hills, so grab your pick axe and let’s see if you can strike gold yourself. 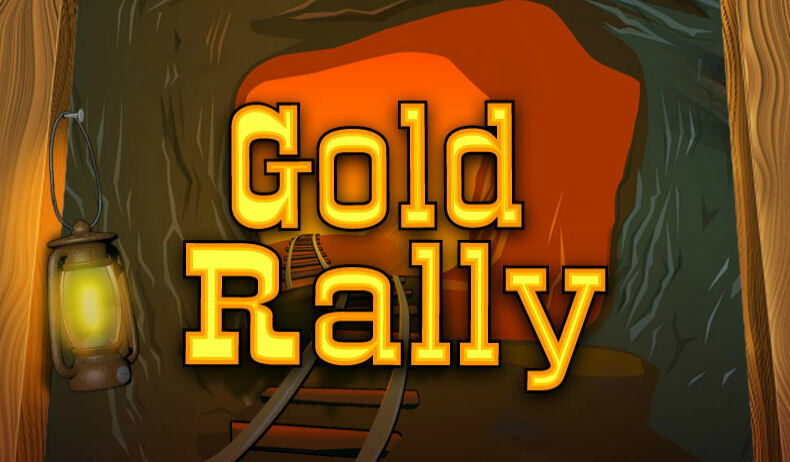 Join the Boku Slots team as we head off into the mines, for one of Playtechs more popular games Gold Rally. Gold Rally is a 3-reel, 8 pay line slot game, now whilst this kind of lay out doesn’t usually give much hope for wins, you are going to be surprised. The RTP on Gold Rally is actually fairly high at 96.7%, yes you did read that right. The games background is a humorous take on the mine car antics of three characters, that really look like they need a health and safety meeting. Bet Amounts – The bet amounts on Gold Rally are fixed in this game at £5 per line, which is unusually high for slot gaming. However, the ratio of the pay outs seems to justify this high stake. Depending on whether you have all 8 lines in play or not, it means a spin could cost from £5 at the lowest to £40 at its maximum. Symbols – There are no wilds in Gold Rally and all the symbols are mining related, including sticks of dynamite, guns, carts, golden horseshoes, the scales, a bag of gold, a lantern, a pick axe and the golden letters GR. The GR symbol is the highest paying so watch out for that and the dynamite is the lowest, but it also doubles as a sneaky bonus too. Scatter Symbol – Your scatter symbol is depicted by a set of scales. It doesn’t trigger bonus spins, but it does give you the opportunity to win the progressive jackpot on offer. In order to win the jackpot, you need to have 9 scatter symbols on screen and be playing 8 active lines to win. If you are playing with less than 8 lines and land the 9 scatters, you will instead be awarded a x5000 your bet amount instead of the jackpot. Dynamite Bonus Feature – This is a sneaky little extra that Playtech have added to Gold Rally, which we feel excuses the lack of a wild symbol. If you manage to land a dynamite in each corner of the reels, it will trigger a bonus round. You will be taken to another screen and shown various sticks of dynamite. You will be awarded between 1 and 5 picks at random, so choose a dynamite stack to reveal the prize. Keep picking until your allocated number is up and you are returned to the main game with your prize amount. Gold Rally is simple and fun to play, but the major pitfall for us was the sheer size of the stake amount. This isn’t a game to go into if you have little funds to play with. However, once you are there, the wins come often and sometimes big enough to justify the cost. Don’t forget that there is that progressive jackpot too which many people will love, but you do need to have all 8 lines in play to be able to win it and again this could be quite off putting to some. Overall, a quick, quirky mining themed game that draws the eye and attention for a while, but only if you have the pockets deep enough to begin with.